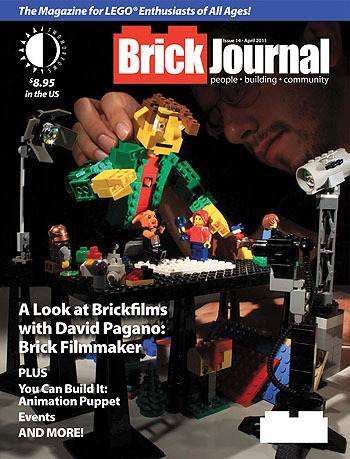 And for those of you who are really into brickfilming, you’ll want to check out our BrickFlix Film Festival, held the day before the BrickMagic festival on May 4 in Durham, NC at the historic Carolina Theater. David’ll be on hand to offer commentary on some of the films at BrickFlix, and taking a Q&A after each showing, as well as hosting a panel at BrickMagic. This entry was posted in TNT on 10 March 2011 by Mr. Morrow.